"I tried living in this world of beauty that seemed to so extravagant and glamorous, trying to make my body perfect since I felt like my life was falling apart. I spent my days exercising constantly, counting calories, purging, and restricting my food. If this sounds like the glamorous life to you then you must be crazy, I would not wish this kind of life on my worst enemy. No matter what I could do no matter how much weight I lost I never felt beautiful. Trying to be model skinny led me to being depressed, deprived, starving, and hopeless. Wishing I could find a way out into the tunnel I was trapped in. This tunnel brought me to an eating disorder treatment center for being anorexic and bulimic, and every day I wake up reminding myself that I can never go back to that life I was living before. All the while I still see these women just as skinny as I used to be wishing I could go back to the life that once shielded me from my emotions and my life." We commend this patient's bravery in sharing a part of her story! Jess Weiner is this generation's go-to girl for self esteem. Jess Weiner will speak on on today's pressure to be beautiful, and motivates audiences to develop self-confidence, self-knowledge, and self acceptance. She understands the issues facing young women today because she has lived through trauma and drama herself, spending her teenage years struggling with eating disorders and low self-esteem, before finally starting along the path to recovery in college. She has chronicled her own self discovery and ultimate recovery from her disorders in her first book, A Very Hungry Girl. She serves as the Global Ambassador for the Dove Self-Esteem Fund, and serves a frequent contributor to The Today Show, CNN Showbiz Tonight, and The Tyra Banks Show. She has been featured on The View, Oprah, and in The New York Times. Mindful eating practices are effective in eliminating binge eating and helping one build a healthy relationship with food. By noticing and appreciating the flavors, textures, colors, aromas and anticipation of that next bite the experience of eating can become a pleasurable one -- free of guilt and shame. Start small- challenge yourself to start each meal today by taking your first bite mindfully and gradually build this practice over time! Read more about mindful eating as "food for thought." What does it mean if a program says they "do Dialectical Behavior Therapy"? We recently came across an article which asked the question, What does it mean if a program says they "do Dialectical Behavior Therapy"? The multidisciplinary team at McCallum Place's outpatient clinic, Webster Wellness Professionals, offers the only specialized Dialectical Behavior Therapy (DBT) services for disordered eating in the state that have been certified by the Missouri Department of Health. We wanted to answer this question, but first, let's talk about what DBT is. What is Dialectical Behavior Therapy or DBT? 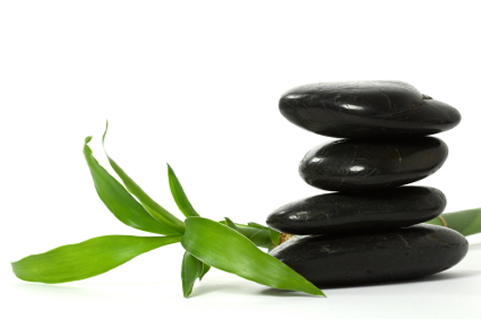 DBT is an effective treatment combining behavioral, cognitive, and supportive therapies. While DBT was originally designed by Marsha Linehan, Ph.D., to treat Borderline Personality Disorder, self-injury, and suicidal thoughts/behaviors, it has since been proven effective for a number of additional disorders, such as binge eating disorder, bulimia nervosa, substance abuse disorders, and post-traumatic stress disorder. DBT’s balance of acceptance, validation, and warmth with change-oriented approaches creates a supportive atmosphere for growth. One of the main reasons people engage in desperate behaviors is to feel better or survive an overwhelming situation. Individuals with eating disorders often struggle with other self-destructive behaviors, such as self-injury and substance abuse, in addition to their eating disorder behaviors. These behaviors can become one’s primary means of coping with life because they have not learned effective alternatives that actually work. While these desperate behaviors may provide short-term relief, the long term costs to personal health, self-esteem, identity, mood, relationships, life accomplishments, and spiritual growth are far too great. It is impossible to fully experience and enjoy life while these behaviors are present. In DBT, a variety of skills are taught and practiced in each of the categories below, allowing you the freedom to break the cycle of self-destructive coping. Who can benefit from DBT for Eating Disorders? If you have an eating disorder and struggle with any of the following, one of our DBT options may be right for you. DBT-ED is designed for those struggling with binge eating, purging, food restriction, and potentially other self-destructive behaviors that stem from emotion regulation difficulties. Weekly individual sessions with a DBT specialist focused on support, motivation for treatment, reviewing target behaviors, and problem solving. Weekly skills training group to learn and practice MINDFULNESS, EMOTION REGULATION, DISTRESS TOLERANCE, and INTERPERSONAL EFFECTIVENESS skills. Coaching, as needed, involve contact with your individual therapist between sessions to strengthen and generalize the skills you have learned into your real life… where it matters most! DBT-EO is designed for those struggling primarily with binge eating or emotional overeating. It consists of an initial individual pre-treatment session, followed by weekly skills training groups where you will learn and practice MINDFULNESS, EMOTION REGULATION, DISTRESS TOLERANCE, and INTERPERSONAL EFFECTIVENESS SKILLS. Individual DBT sessions and coaching as listed above may be offered, but are not required for group participation. To learn more about how Webster Wellness Professionals provides effective eating disorder and emotional overeating treatment from a Dialectical Behavior Therapy perspective, please call us 314-737-4070. As a leading eating disorder treatment center in St. Louis, our professional staff can help determine the best treatment for each individual by using a combination of effective, evidence-based techniques and therapies. The Washington University student group Reflections seeks to promote positive body image and eating disorder education on its St. Louis campus. Reflections will kick off their eating disorders awareness week by hosting inspiring speaker, Caroline Rothstein, on February 22 from 6 to 7 p.m. This event is open to the public! "My Body, My Self" is a spoken word poetry show and experience with performer, writer, and eating disorder recovery advocate Caroline Rothstein. In a culture where our emotional self-confidence and physical self-esteem are too often challenged, "My Body, My Self" is an effort to support and encourage college students in overcoming these obstacles. Caroline's poetry explores her personal experiences in a journey toward self-confidence and strength, and illustrates how the path towards body empowerment includes discovering and embracing our hobbies, intellectual curiosities, opinions about politics and current events, relationships, aspirations, and more. The “My Body, My Self” show includes pieces about body image, recovery, racial identity, gender and sexuality, privilege and class, and is part of a movement to help the current college-aged generation find confidence in their bodies, and passion for themselves. McCallum Place Eating Disorders Treatment Programs, and its outpatient clinic for obesity and eating disorders, Webster Wellness Professionals, has earned The Joint Commission’s Gold Seal of Approval™ for accreditation by demonstrating compliance with The Joint Commission’s national standards for health care quality and safety in behavioral health care. The accreditation award recognizes McCallum Place’s dedication to continuous compliance with The Joint Commission’s state-of-the-art standards. McCallum Place – offering residential, partial hospital, intensive outpatient, transitional living and outpatient services provided by Webster Wellness Professionals – underwent a rigorous on-site survey in January of 2012. Joint Commission expert surveyors evaluated McCallum Place for compliance with standards of care specific to the needs of individuals served and families, including infection prevention and control, leadership and medication management. The Joint Commission’s behavioral health care standards address important functions relating to the care of individuals served and the management of behavioral health care organizations. The standards are developed in consultation with behavioral health care experts, providers, measurement experts, individuals served and their families. Founded in 1951, The Joint Commission seeks to continuously improve health care for the public, in collaboration with other stakeholders, by evaluating health care organizations and inspiring them to excel in providing safe and effective care of the highest quality and value. The Joint Commission evaluates and accredits more than 18,000 health care organizations and programs in the United States. The Joint Commission also provides certification of more than 1,700 disease-specific care programs, primary stroke centers, and health care staffing services. 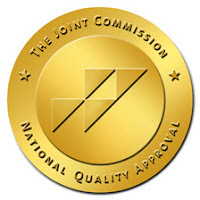 An independent, not-for-profit organization, The Joint Commission is the nation's oldest and largest standards-setting and accrediting body in health care. Learn more about The Joint Commission at www.jointcommission.org. The 4th Annual Eating Disorders Awareness Day will take place on February 22 at the Missouri Capitol Rotunda in Jefferson City, MO. Advocators will focus on educating legislators on the facts about eating disorders, and try to end the discrimination and limited access to treatment. Email star@myneda.org to register, or read more about how to make your voice heard. Sometimes we just need an extra push to get us back on track to acheive our goals. Below are Mantras for Motivation that can give you the jumpstart you've been looking for! 1. “Just believe” – Researchers have found participants who went into an activity believing they would do well were better able to cope with stress and performed better than those who did not. 2. “Finish Line” – When you’re feeling a lack of motivation, think about the end result. Picturing the reward at the end can give you a greater desire to start. 3. “I earned it” – Plan for little pick-me-ups (for example, a cup of coffee, reading, listening to a favorite song) to follow something that is difficult for you to get through. 4. “I run my own show” – Remind yourself that YOU are in control of your life and determine your happiness and success. 5. “Reality check” – Keep goals concrete and attainable. If you’re setting your sights high, try breaking it up and reflecting on the achievements you’ve made along the way. It's clear that the fashion industry plays a major role in conveying distorted messages of ideal body type to the masses. Recognizing the connection between the issues of age and body image, the Council of Fashion Designers of America (CFDA) have released new health guidelines for runway models. Read more about the updated guidelines. Are School Obesity Programs Causing Disordered Eating Habits in Children? As the fight to combat childhood obesity enters full swing, many parents are left wondering if school-related programs promote questionable eating behaviors and physical activities in their children. Science Daily explores this issue, and, citing a recent poll, finds that even the most well-intentioned efforts to decrease childhood obesity could create a most unintentioned outcome. *The article below, in its entirety, courtesy of ScienceDaily.com. In a new poll, 30% of parents report at least one worrisome behavior in their children that could be associated withthe development of eating disorders. A new report from the C.S. Mott Children's Hospital National Poll on Children's Health examines the possible association between school-based childhood obesity prevention programs and an increase in eating disorders among young children and adolescents. The poll asked parents about obesity prevention programs in their children's schools and about food-related behaviors and activity that may be worrisome. Overall, 82 percent of parents of children age 6-14 report at least one school-based childhood obesity intervention program taking place in their child's school. Among these programs are nutrition education, limits on sweets or "junk food" in the classroom, height and weight measurements, and incentives for physical activity. Additionally, 7 percent of parents report that their children have been made to feel bad at school about what or how much they were eating. This same group of parents was also asked about their children's eating behaviors. Thirty percent of parents of 6-14 year-olds report least one behavior in their children that could be associated with the development of an eating disorder. These behaviors include inappropriate dieting, excessive worry about fat in foods, being preoccupied with food content or labels, refusing family meals, and having too much physical activity. "The issue of childhood obesity is a serious problem. In order to intervene in what seems like an epidemic of childhood obesity, everyone needs to be involved," says David Rosen, M.D., M.P.H., Clinical Professor of Pediatrics, Internal Medicine, and Psychiatry at the University of Michigan Medical School and Chief of Teenage and Young Adult Medicine in the Department of Pediatrics. However, Rosen says, "When obesity interventions are put in place without understanding how they work and what the risks are, there can be unintended consequences. Well-intentioned efforts can go awry when children misinterpret the information they're given. "Many of these behaviors are often dismissed as a phase," says Rosen, "But given what we know about the association of these behaviors with the development of eating disorders and knowing that eating disorders are increasing in prevalence, they should be taken very seriously." Parents that report incentive programs at their children's school to increase physical activity are more likely to say their children are "too physically active" (11%) compared with parents who do not report incentives for physical activity at their child's school (4%). Otherwise, the poll did not find an association between school-based obesity prevention programs and other worrisome eating behaviors among children. The fact that 30% of parents report at least one worrisome eating behavior in their children is concerning. "It's much better and safer for parents to respond to worrisome eating behaviors early -- even if there turns out to be no problem -- than to wait until there is obviously a big problem,' Rosen says. "It is much easier to prevent an eating disorder than it is to treat an eating disorder." 1. Be attentive to your children's eating habits. If you see behaviors that are worrisome to you, talk to your children about them. If the behaviors escalate, involve your child's doctor. 2. Find out what your children's schools are doing to prevent childhood obesity. Be involved and engaged in that process. As an eating disorder therapist at McCallum Place, Travis Stewart has been intrigued by the idea that we live in a country that simultaneously has more available food than any other country, yet is obsessed with being thin. Read about some powerful insights into how other cultures view food, diet and hunger. That’s right, we don’t even know you and already we are jumping to conclusions. But before you dismiss this post, please read on. Individuals with eating disorders have often experienced many different treatments across different levels of care, which may lead to feelings of hopelessness and self-blame. Thoughts such as “I’m never going to get better” or “something must be wrong with me” are common. Sometimes even those that are in a position to be helpful and supportive, like family, friends, or even treatment providers, give in to the notion that the individual “isn’t trying,” “doesn’t want to get better,” or “is destined to be sick for the rest of his or her life.” Not only are these ideas incorrect, but they are harmful and prevent those who are suffering from getting the help they need and deserve. In Dialectical Behavior Therapy (DBT), we explicitly commit to the following assumptions about our clients, their families, other treatment providers and ourselves. Why? It works. It’s effective in helping us achieve our goals. It allows us to come from a place of acceptance and compassion and to maintain hope and certainty that recovery is possible for everyone. It is a commitment to provide the best treatment possible. So what are these assumptions we speak so fondly of? You are doing the best that you can. In any given moment or situation, no matter what the behavior or outcome, DBT firmly believes you are doing your very best. If you could do better, you would. Yesterday’s binge was not an attempt to cause difficulties or make things worse; it was an attempt at survival and the best you could do in that moment. You want to improve. While imaging life without your eating disorder may be scary, DBT believes that all those suffering truly do desire to recover. No one chooses to have an eating disorder. No one chooses to experience emotional pain, tormenting thoughts and self-hatred on a regular basis. There are likely many things that contribute to lack of improvement, such as environmental factors or faulty beliefs, but lack of intent or desire is not one of them. You must learn new behaviors both in therapy and in the context of your day-to-day life. Wanting to recover is not enough. You must actively participate in learning new behaviors and be willing to try new things, even if you’re skeptical or fearful of failure. So yes, you must give self-soothing skills, mindfulness and distracting activities a chance. And not just in the therapy room, but in your regular life where it really matters. Don’t worry, you’re not on your own. DBT skills group is specifically designed to teach you new skills to try! You cannot fail in DBT. If a cancer patient received chemotherapy and the cancer continued to spread, we would not tell the patient they failed chemotherapy. We would say the chemotherapy failed them. The same goes for DBT. If you participate in treatment and do not improve, the treatment failed you. Maybe it was not implemented effectively or maybe DBT was not the right treatment for you in the first place or at that particular time in your life. Bottom line, you did not fail. You may not have caused all of your problems, but you have to solve them anyway. While it may seem unfair, it is reality. Assigning blame to yourself or others, or waiting for others to fix your problems for you is not effective. It does not bring you any closer to building the life that you want. It is effective to identify these problems, solve those that can be solved, and learn to accept those realities that cannot be changed. You need to do better, try harder and be more motivated to change. While DBT firmly believes you are doing your very best, you must also keep trying harder. Life and recovery are all about continuing to learn and grow, which takes an extraordinary amount of effort and hard work. This means continuing to experiment with new ways of coping, allowing others to help you, facing your fears head on, and being gentle with yourself in the process. To commit to this journey, you must have something to work towards that is meaningful for you personally, such as graduating college, building relationships, bringing joy back to your life, or being present for your family. Your life is unbearable as it is currently being lived. Life with an eating disorder is miserable. The physical, emotional, cognitive, interpersonal and spiritual suffering can be so unbearable that self-destructive behaviors may be the only way you’ve survived. While this is completely understandable, it is not okay. Settling is not okay. You deserve to build a life you truly want to live… and you can. What assumptions do you make about yourself? Are they effective? Do they move you closer to or further away from your goals? Stay tuned… more to come on DBT in future posts! If you have any questions you would like answered, please send them to me at lbumberry@mccallumplace.com. Thanks! 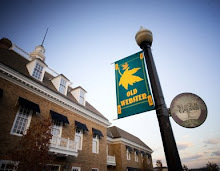 Our DBT team at Webster Wellness Professionals is the only team specializing in eating disorder recovery in the state of Missouri , and one of few teams overall to be certified by the Missouri Department of Mental Health. If you would like to learn more about our DBT services, please visit our website http://www.websterwellnessprofessionals.com/dialectical-behavior-therapy.html or schedule an intake with one of our DBT therapists at (314) 737-4070. Dr. McCallum, MD, CEDS (certified eating disorders specialist) will speak at St. Luke's Hospital's Girl Talk event, which is a FREE event for mothers and daughters ages 11 and older. Mothers will experience a fun and inspiring afternoon connecting with their daughters while they learn to connect the pieces of good health - from their physical health and body image to their social/emotional health and self-esteem. Click here to view the event flyer! Saturday, January 21 from 1 to 4 p.m. The event is FREE, but registration is required. Call 314-542-4848. Kimberli McCallum, MD, CEDS (certified eating disorders specialist) has been recognized by her peers as being among one of "America's Top Doctors®." The list, researched and published by Castle Connolly Medical Ltd., features highly regarded doctors who are considered the best in their area of specialty. Dr. McCallum is the founder of McCallum Place Residential and Partial Hospital Programs offering intensive comprehensive specialty care for those struggling with Eating Disorders and of Webster Wellness Professionals offering consultation, evaluation and outpatient treatment for Eating Disorders and Obesity. Dr. McCallum is a Fellow of the American Psychiatric Association and an Associate Professor of Clinical Psychiatry at Washington University School of Medicine in St Louis. She is board-certified in Child and Adolescent psychiatry and in Adult General Psychiatry. She received her medical degree from Yale School of Medicine, her training in General Psychiatry at the UCLA Neuropsychiatry Institute, and her Child Psychiatry Fellowship at Washington University, and psychoanalytic training at the St. Louis Psychoanalytic Institute. She is a member of the board of directors of the National Eating Disorders Association NEDA and of the International Association of Eating Disorder Professionals IAEDP. 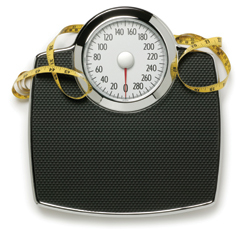 Dr. McCallum has been working with patients with eating disorders for over 20 years. In addition to teaching, psychiatric care and program development, Dr McCallum is a psychotherapist with a broad range of skills including family based treatment, CBT, DBT, mindfulness meditation and psychodynamic psychotherapy. Her goal is to help patients develop skills for self regulation and self acceptance so that they might live fuller, balanced lives. Her programs integrate focused psychotherapies, nutritional coaching, meal support, and exercise, medical and psychiatric care.